Parliament has opened once again for visits and this year there is an optional add-on to some of the Saturday and Summer Opening Guided Tours. Tea can be taken in the elegant surroundings of the Pugin Room in the House of Commons; an historic room which provides fine views over the River Thames. 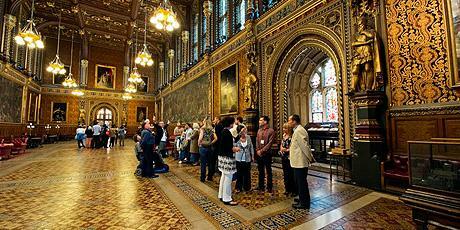 Saturday and Summer Opening tours – UK Parliament. This entry was posted in History, Lecture, Other London Things. Bookmark the permalink.